Spidey is an international hypnotist/mentalist/magician whose career began 10 years ago and has flourished to unprecedented heights. Beyond the scope of performance, he is an international creator of magic and mentalism as well as a persuasion, influence and covert hypnosis specialist. He continues to perform across Canada and the US and wows audiences internationally from all over the Caribbean to Europe. Spidey is well known for his famous viral video of him using covert hypnosis REACHING 210 COUNTRIES. 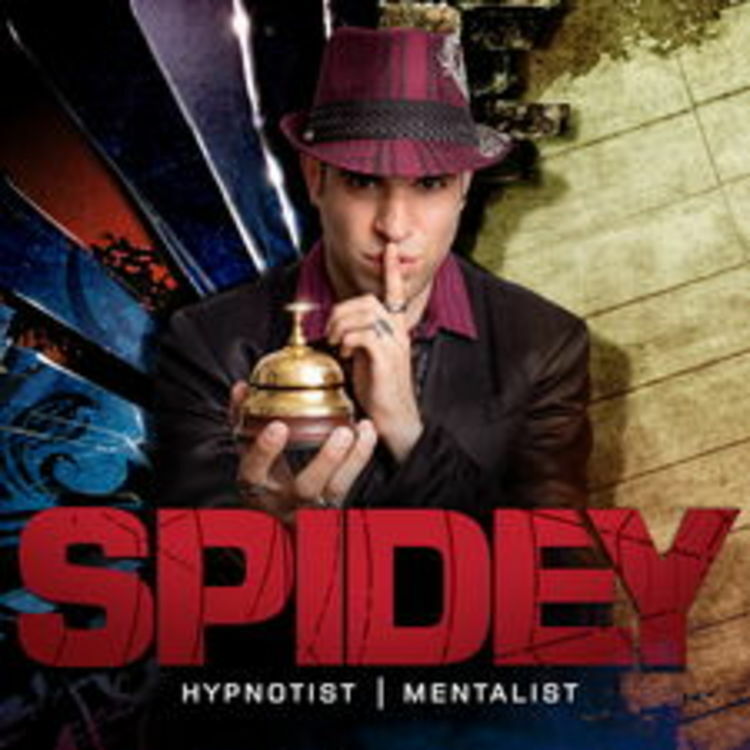 In addition to achieving mass international acclaim in the online world, Spidey has emerged as a super elite performer in the realm of hypnosis, mentalism and magic for colleges, corporate events, television and special events. He was a Canada’s Got Talent Finalist with panel judges Martin Short expressing, “You are by far the MOST OUTSTANDING HYPNOTIST we have ever seen!” Spidey’s TV appearances continued with his episode on Discovery Channel with Dan Riskin. On the Daily Planet, Spidey provided awe-dropping mental demonstrations and offered various persuasion, influence and covert hypnosis techniques. Discovery Channel referred to his abilities as “Ridiculous! Just Crazy!” while MTV UK ecstatically said “He’s amazing!” Spidey has been the subject of documentaries “Igniting the Imagination” which aired on CBC and “Hypnotica”, which debuted at the Festival du Nouveau Cinema. Further to his success as an entertainer, Spidey has provided keynote speeches and sales seminars at major corporations like Mercedes, RBC, BMW and Chrysler to name a few as a persuasion, influence and covert hypnosis specialist. Spidey is seeing major recognition for his international magic/mentalism performances and creations. He was nominated Canadian Magician of the Year and has worked with A-list celebrities like Joseph Gordon-Levitt (Inception, Looper) and Academy Award winning directors like Robert Zemeckis as a Hollywood Consultant in the skills of magic, mentalism and hypnosis. He was also a top act at the largest comedy festival in the world with 1.5 million votes cast – Just For Laughs Festival! Spidey’s prominence and innovativeness in magic and mentalism have led him to become the exclusive Mentalist Creator for one of the largest online magic creator companies in the world, Theory11. One of his creations, Ultra Gum, has emerged as one of the worldwide best-selling magic tricks of all time. His thriving career has enabled him to meet other inspirational entertainment figures like Dane Cook, Neil Patrick Harris, David Copperfield, Martin Short, Penn & Teller, Guy Laliberté (Cirque du Soleil), etc.